The province of Siena is a great favourite among tourists with stunning regions such as Chianti Senese, Val di Chiana, Val d’Orcia, Crete Senesi and the Val di Merse. 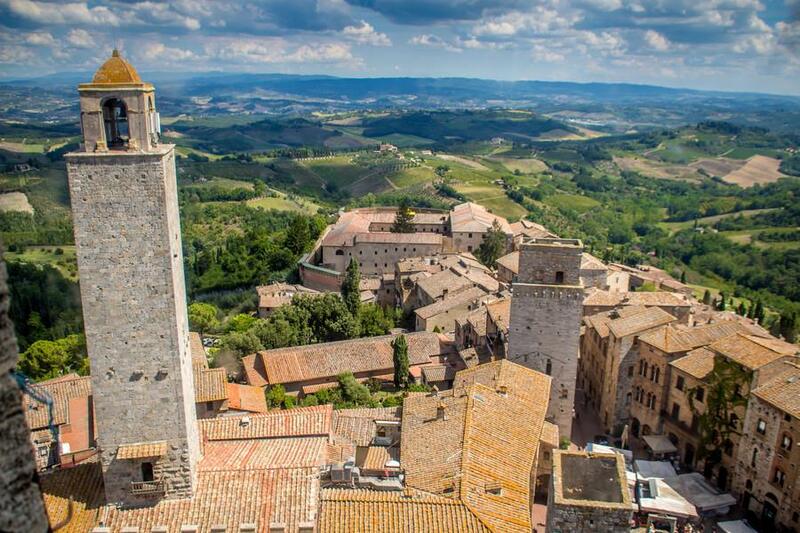 However, not many people know that the second largest town of the province, after the capital Siena, is the underrated Poggibonsi hidden under the dominant shadows of the nearby towers of San Gimignano. The main centre of the Upper Elsa Valley, Poggibonsi has a flourishing cultivation of olive groves and Chianti Classico vineyards as well as an active industrial pole renowned for its furniture, pots and glass. 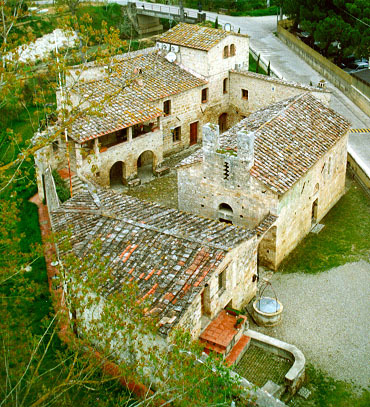 Historically its first findings go back to the Neolithic Period, but the most important finds belong to the Etruscan-Roman age, as attested by a series of necropolises scattered on the hills near today’s town. The expansion of the area dates from the 10th to the 12th century when it became significant for its position on the Via Francigena. A superb Ghibelline town, Poggibonsi in 1220 was proclaimed ‘imperial city’ by Frederick II, Holy Roman Emperor, and was considered by 13th-century chronicler Giovanni Villani one of the most beautiful towns of Italy. Unfortunately it prospered only 115 years; considered an obstacle to the expansion of Florence, it was destroyed in 1270 by the Florentine Guelphs and remained under their rule. Today the town and its surroundings offer many sights of interest. In the centre is the Collegiata di Santa Maria Assunta, Poggibonsi’s main church, the Gothic-Romanesque church of San Lorenzo built by the Augustinians where in 1495 Charles VIII of France met Girolamo Savonarola, the late 13th-century travertine Palazzo Pretorio with its Torre del Podestà, today seat of the Museum of Palaeontology, and from the early 13th century the public fountain Fonte delle Fate, the Fairies’ Spring, discovered in 1803. An imposing sight is the fortress of Poggio Imperiale built on a project by Giuliano da Sangallo between 1488 and 1511, the most important achievement accomplished by Lorenzo the Magnificent to the strengthen the defences of the territory. Outside town there is an array of interesting historical buildings such as the impressive Castello della Magione, a medieval castle that belonged to the Knights Templar. 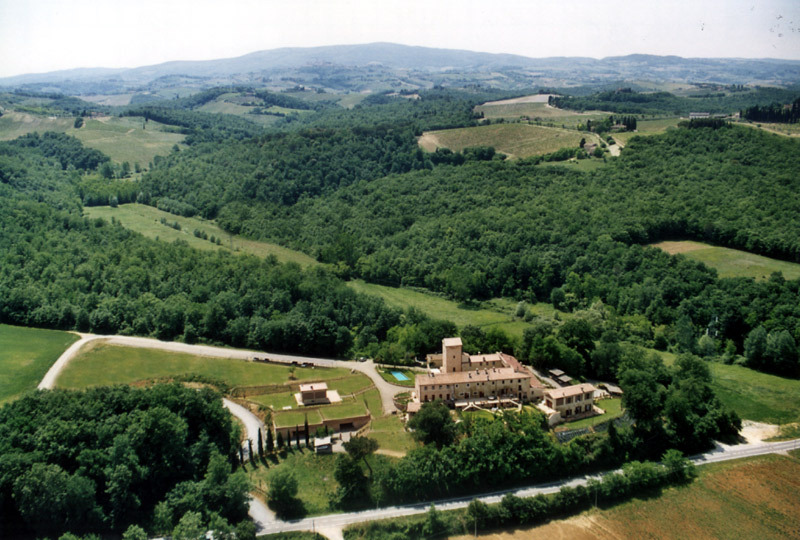 The castle includes an ancient church and the “spedale”, a hotel for pilgrims transiting on the Via Francigena. 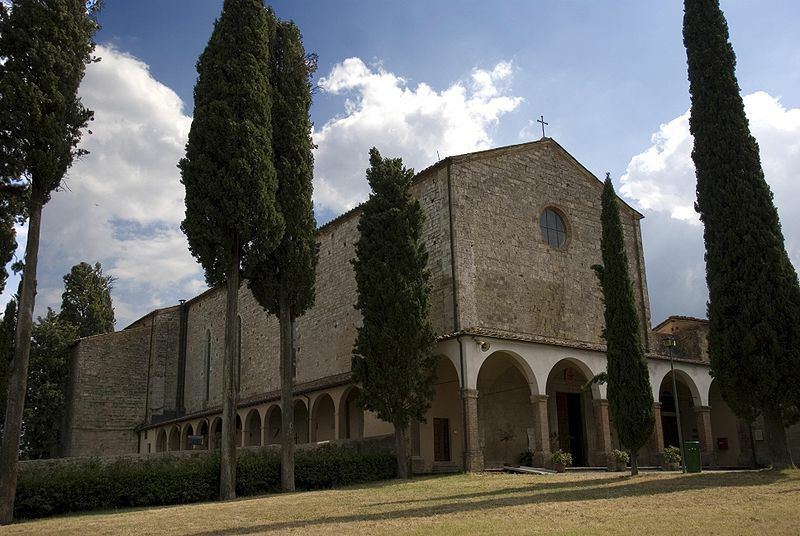 Located on a hill near town is the large gothic convent of San Lucchese, originally built around 1252. 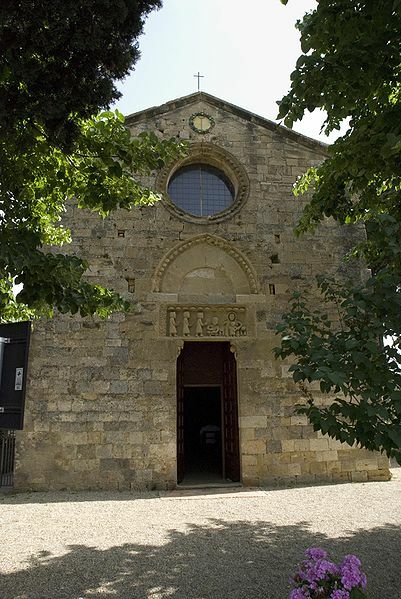 At Papaiano is the ancient church of Sant’Andrea of which first records date back to 972. In another hamlet, Talciona, the quaint Romanesque Church of Santa Maria is certainly worth a visit, whilst in Gavignano the church of San Donato is considered one of the most interesting examples of minor Romanesque architecture owing to its state of preservation and the architectural features of its façade. An article of its own deserves the lovely Castle of Staggia Senese of which records go back until 994. For those wishing to visit this magnificent area, just outside Poggibonsi is an amazing luxury apartment which is part of a tower and wing of the ancient council hall of the Hospitaller Knights of Jerusalem on the via Francigena, dating back to the 11th century. This independent apartment for rent with swimming pool at 9 km from San Gimignano is on two floors and can comfortably host up to 6/7 people in an area of 180 square meters. An ideal location for a holiday in the Senese. Questa voce è stata pubblicata in Accommodations in Tuscany, Castles in Tuscany, Culture and accommodations in Tuscany, Tuscan lifestyle e contrassegnata con Alta Val d’Elsa, Castello della Magione, Castello di Staggia Senese, Chianti Classico, Fortezza di Poggio Imperiale, Girolamo Savonarola, Giuliano da Sangallo, Knights Templar, Palazzo Pretorio, Poggibonsi, San Gimignano. Contrassegna il permalink.